Wow! Your dream home has materialized! This amazing recently modernized condo in the Hawthorne Lofts has everything your heart desires. 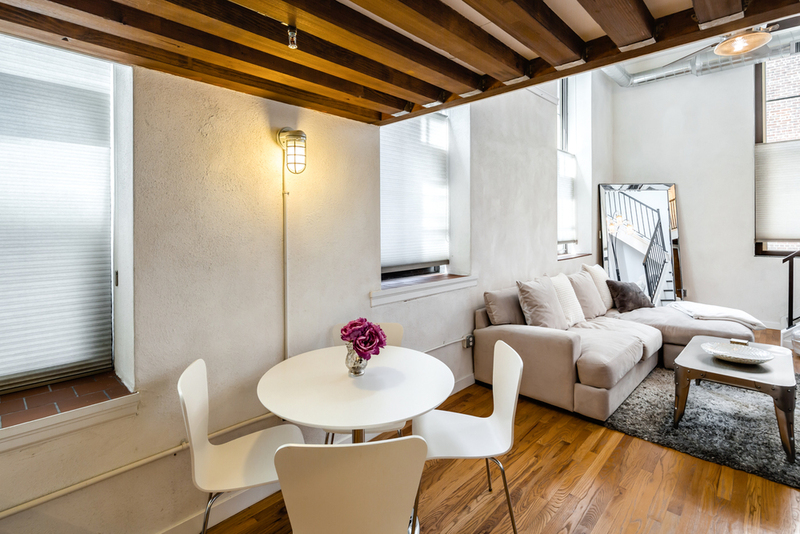 This handsome historically certified, strong bones, former school house was newly converted to a 53 unit, pet-friendly condo building in 2005. Your unit has 5 years remaining of its tax abatement and GATED PARKING. Upon entering you'll pass a fully equipped, professional quality gym with his and her sauna and locker rooms, a club room with a community pool table and flat screen television, and the laundry facility which encompasses 20 high quality, high efficiency, large capacity front loading machines that are maintained by the building and free to use by the residents. Take the elevator or stairs to your incredibly stunning bi-level 1-bedroom PLUS loft condo. Find soaring high ceilings in the bedroom and dramatic double-height living room with oversized windows. Gazing at the breathtaking views of downtown Philadelphia through your supersized windows or from your massive community roof deck will be a fun pastime and impress all your guests! 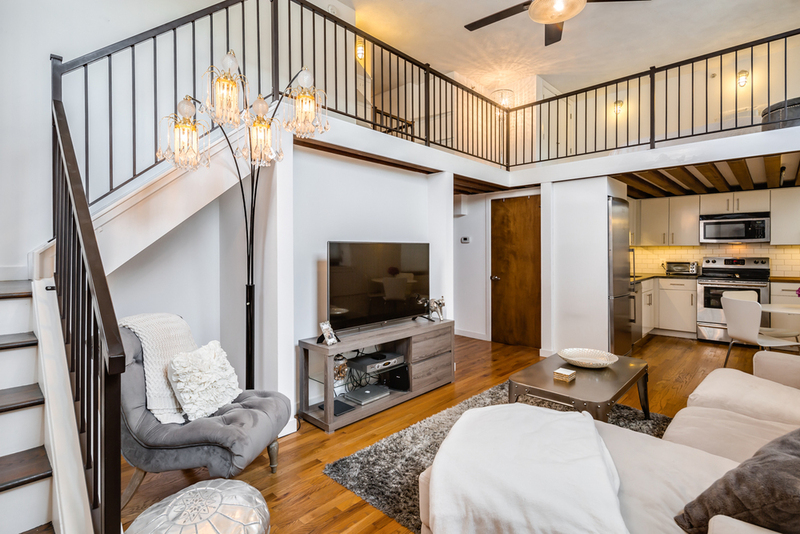 In addition to the sizeable bedroom, the large double-height living room, the loft with extra storage and the sparkling bathroom, find an incredibly tasteful renovated kitchen with glittering backsplash, stainless steel appliances and soap stone countertops. This location in the center of it all scores 97% walkability (Whole foods is 2 blocks up and one block over), 100% public transit (the broad st line is 1 block away), and 95% biker's paradise. Only one block away, you'll enjoy the Avenue of the Arts dotted with great restaurants, home to the Kimmel Center, and slated for tons of new exciting development giving your real estate investment endless growth potential. Just south you'll frequent Passyunk Square, one of the city's most delicious and festive commercial avenues. To your lower right at about 4 o'clock you'll find the Italian Market, a gourmand's dream. We can't wait until this home is yours. In the meantime, please understand appointments require 24 hours' notice and are limited to late morning through early evening.